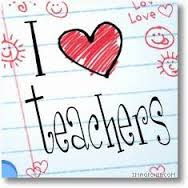 A Perfect Lie - Una Mentira Perfecta ™: Happy Teacher Day! Being a teacher is an honorable profession. My hats off to you for being pateint enough and committed enough to do it. Thank you Reggie. It's a tough job, but I love it :).